We’re just back from the Telecel launch of the new brand which we have posted about here before. Telecel provided quite some information, which we will post in a update today later, but in the meantime, here’s a press release prepared by the company announcing the new Telecel Zimbabwe brand. Telecel branches displaying the rebranded colours and logo about two weeks ago in the build upto today’s official launch of the new brand. “The new look reflects a change in the way we operate,” Telecel Zimbabwe marketing director Obert Mandimika said. The simplified Telecel logo, which is a small letter ‘t’ in a circle, reflects on the new brand values, which is simplicity and clarity in all company’s communications and product offerings. The letter ‘t’ in the logo may be used as a red letter on a white background or a white letter of a red background. 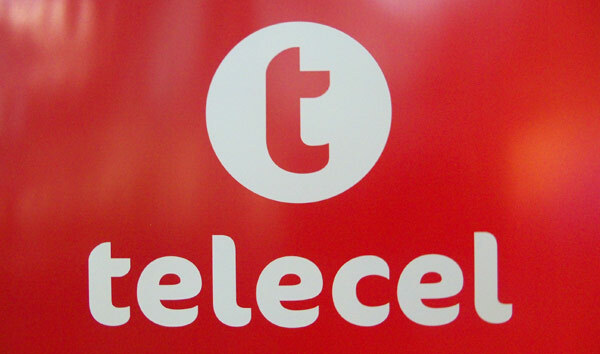 Telecel International, which is owned by Orascom Telecom, is investing more than US $70 million in Telecel Zimbabwe’s expansion and upgrading programme in this year alone with more planned in the immediate future. Phew! Am I glad you guys restored back the comments section to what it was and should be. None of that facebook stuff jee-pees! Now to Telecel, investing a measly US$70 million in expansion pretty-much says it all about Telecel and what its offering. Maybe they are holding back until the situation changes I don’t know. But that measly amount is hardly going to improve the quality of what Telecel is currently offering. Their data (internet) is lousy and telcos the world over are investing more on data as data revenues far outstrip those from voice. I am not sure what Telecel’s rebranding is going achieve here. Nothing as far as I can tell, just a colour theme change. This new corporate logo has law-suit written all over it ‘cos all i see here is a cheap Vodafone rip off. Could Vimpelcom not think of anything original for Pete’s sakes?